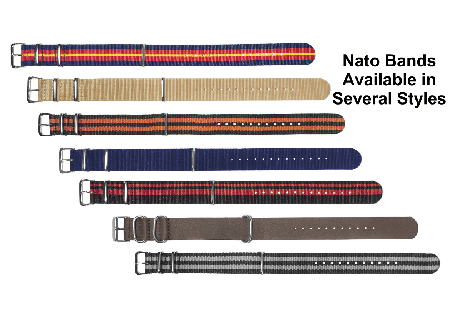 This genuine leather Nato band medical ID bracelet easily adjusts to fit wrists from 5.75 to 9 inches. The stainless steel brushed matte rectangular plaque is about 1 1/2 by 1 inch. 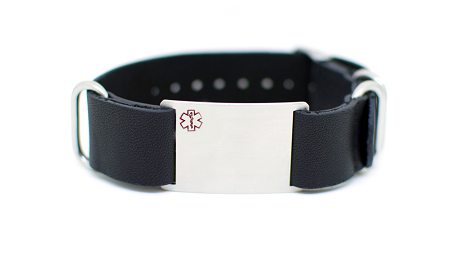 The leather strap is 18mm (0.71 inches) wide and has stainless steel buckles and parts. 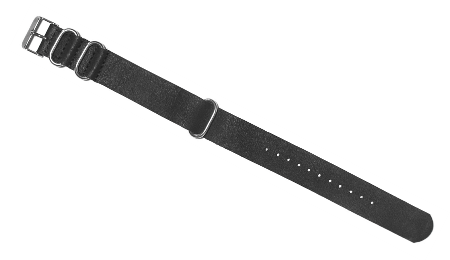 Strap tucks inside buckle. Medical wallet card included.